How sure are we that Five Animal Frolics Qigong (paperback) will work for you? Simply fill out the form below and put Five Animal Frolics Qigong (paperback) to work for you right now. 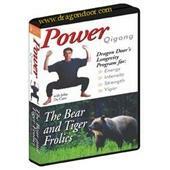 Obviously, we would go out of business if Five Animal Frolics Qigong (paperback) didn't work, the way we said, right? With the promise of a full refund if you're unsatisfied, you have nothing to lose by trying Five Animal Frolics Qigong (paperback). Go ahead and try it today. Daoist qigong techniques give promise of longevity and self-healing. 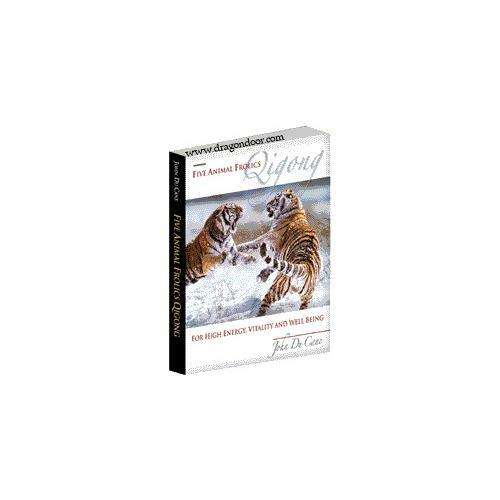 Detailed descriptions of postural alignment, movement, breathing and use of attention combine with a wealth of photographs to provide an easy-learning tool for the world's most famous qigong system. "John DuCane has taken an ancient Chinese system, developed almost 2,000 years ago, and put together a practical and workable Qigong program for today's modern lifestyles. The Five Animals Frolics Qigong system is a series of exercises developed by ancient physicians that combines principles of Chinese medicine with shamanic healing systems. Its goal is to combine a wide range of movement, special breathing patterns, and visualization to awaken the internal power of self-healing. 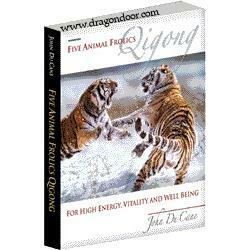 John DuCane gives a strong demonstration of The Five Animals Frolics and clear instruction on each of these exercises that is beneficial to those beginning Qiong, as well as to seasoned practitioners." Daoism celebrates and cultivates the art of living in accord with the cyclical play of natural energies, maintaining an easy, humorous, yet commonsense approach to everyday life. Daoism cultivates our capacity to spiral from the serene and tranquil to the energetic and dynamic. In this spirit, the Daoists created refined qigong systems of meditative movement to induce harmony with nature, generate energy, and at the highest levels, to achieve spiritual illumination. Qigong teaches us to harmonize body, mind and breath while using scientifically choreographed movements to stimulate or relax our energy. Qigong bolsters the primal, reproductive vitality, or "jing"; it potentiates the daily bioelectrical energy, or "qi"; and it refines the light of our radiant spirit, or "shen". Imagine yourself as a candle: the candle body is your jing, the flame is your qi, and the candle light your shen. These three treasures are interdependent. Cultivation of the one leads to cultivation of the others, just as neglect or dissipation of the one will adversely affect the others. Qigong divides into two main categories—the tranquil and the dynamic. But, typically of Daoist practice, tranquil qigong will have a dynamic component—motionless on the surface, yet moving the qi internally. Dynamic qigong will also cultivate tranquility, learning to move vigorously from a still core. Skillful practitioners learn to be aware of and incorporate the full spectrum of internal and external activity, equally comfortable with the tranquil or the dynamic, always cultivating the seed of one within the soil of the other. One of the most delightful and accessible of the dynamic qigongs has to be the Five Animal Frolics. The exercises combine the internal with the external, invigorating the organs and soothing the nervous system, while strengthening and toning the external musculature. They affirm a playful, uninhibited approach to meditative movement, allowing for strong benefits without an overly serious slog for results. The father of Chinese medicine, Hua To concluded that the single greatest secret for a healthy life lay in the practice of correct movement. His analogy became dear to the hearts of all tai ji enthusiasts: "A door's hinge won't get worm-eaten, if you use it." Today we would say If you oil and use the hinge." Qigong and tai ji movements, when properly performed, stimulate that internal lubrication of free-flowing qi, blood, and lymph essential to our continued health and sense of well being. Believing also that the highest healing skill is to teach others to heal themselves, Hua To set out to create a complete self-healing system that anyone could use to stay healthy or cure themselves of most ailments. Synthesizing and refining a set of exercises based on a vast body of ancient shamanic and folk healing knowledge, he created The Five Animal Frolics. The Frolics incorporate many of the principles of tai ji but in a more basic form. They are far easier to perform than tai ji, very pleasurable and relatively simple to maintain as a daily practice. Individual sequences can be used as quick, invigorating stress-buster; the full program is an exhilarating therapeutic experience. The exercises model movement from the crane, the bear, the monkey, the tiger, and the deer. These are animals with very distinctive styles of movement. The idea is not merely to mimic the external motions of the animal, but to internalize the nature of that animal as you practice. Each Frolic also emphasizes different health benefits and you can choose a specific animal for specific results. Their movements form arcs, spirals, waves and spins, in accord with the Chinese belief that circular movement underlies all mental and subtle energetic activity. To avoid imbalance, the movements are sometimes slow, sometimes fast, and are deliberately designed to alternately strengthen and soften the body. 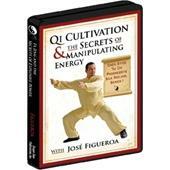 "John DuCane has created a good tape for learning some basic qigong practices. The instruction is clear and easily understood. The Bliss Qigong movements are clearly explained in this tape, and are appropriate for beginners or experienced practitioners. Instructions are given in a logical fashion and at a pace that anyone can follow. His teaching style is gentle and the movements are not difficult to learn. His delivery is even and his manner inspires confidence. Along with teaching the movements, he includes information about qi and how it feels and functions in context of the exercises. There is not a lot of flash and glitter in the presentation, just straightforward instruction as if you were in the room with your teacher. This tape is easily among the best I have seen in the genre, and I would not hesitate to buy more of John DuCane's works. I find the quality of his instruction to be in the same league as that of Ken Cohen and Chunyi Lin." First off John is a consumate gentleman and scholar of Qigong. Being so, it makes it easy for him to take complex notions and break them down simply. This is the hallmark of a true and great Teacher as John is. I have studied, practiced and taught Qigong for a long time and always include the Frolics as part of my practice. There is no better presentation of the material than this. It is also must be noted that John has a wonderfully relaxed way of teaching on video that makes the material easy to absorb and understand. Conclusion, John's work is something worth to look at if you're skeptical. It is part of my life till I die. 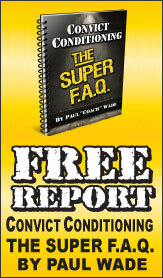 Rated 9/10 Good info, easy to follow. The book is well written and the movements easy to learn due to the large quanity of pictures. It is nice to have a printed copy of the frolic movements for extra study, and to reinforce what is taught on the DVD set. These exercises have helped me very much in getting through cancer treatment. I also have Mr Du Cane's Tai Ji Qigong video, which is wonderful for giving me renewed energy and working through nausea and aching pain. My other favorites are the Crane and the Deer Frolics. The calm, simple presentation is just what I need at this time. Since I've been doing these every day, I feel pretty much normal again, and able to do my regular tasks. Thank you, Mr Du Cane! This book gives an excellent description of the Five Animal Frolics. The instructions for each movement are clear and easy to follow. The photographs illustrate the movements well. I have been looking for a collection of all 5 forms for years and was delighted to find it in John Du Crane's book! The introduction to this book is excellent. The instructions for each movement are very clear and the reader's (practitioner's) attention is drawn to where the mind should be focused for each movement. That is all very good. However there is no mention of the Five Elements which, I believe, is an important aspect of the Frolics. Nor are there details of the mental, physical or emotional benefits one's body can achieve from each movement. So it depends what you are looking for as to whether there is enough information. I am a Tai Chi and Qigong instructor, but we do not have the Five Animal Frolics as part of our curriculum. I have been interested in Hua To and his development of the Five Animal Frolics for my own practice. I had, therefore, hoped the book would give me more depth. So now I have ordered the DVD set - Qigong Longevity Program - in the hope that together with the book I get the information I was looking for. very good routines. I feel energized afterwards instead of tired out. Thanks!